We know of several in our world that are connected to the universe of the Cities, all of them conceived by François Schuiten. One shows Robick and is obviously the copy of a Brüselite edition. 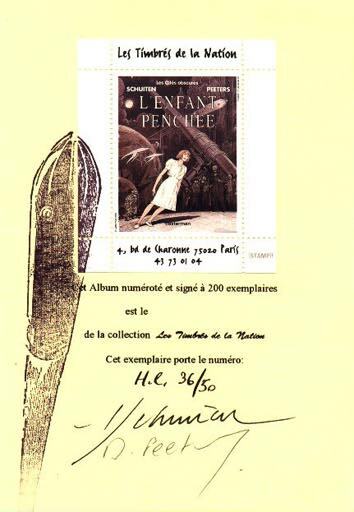 Another has been issued to commemorate the centenial of the Belgica expedition to Antarctica, and would have been copied in the Obscure World following an expedition to the Mysterium Magnum. 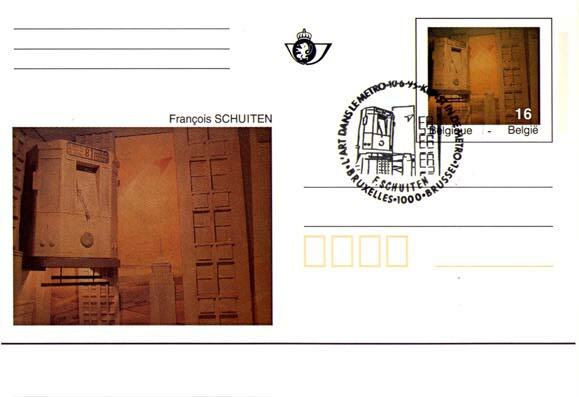 There is also a series of four stamps describing important sites in Brussels . The Obscure versions are probably the work of Robert Louis Marie De La Barque 1). See also Postal Service.